Prefab Homes Lagos Nigeria - Free Prefab Buildings Guide. Tips And Dealer Info. Prefab homes guide Lagos Nigeria - Prefab buildings are exactly as the name suggest. They are buildings prefabricated in a factory and then transported to destinations specified by customers. Prefab homes or prefabricated buildings can either be transported as assembled units or as a number of components that will be assembled in the locations where they are to be transported. What is the appeal of prefab homes? Why are they becoming more and more popular? Prefab buildings are aesthetically appealing, durable, and have a short lead time. That means the time between when the order is placed and when the prefabricated buildings are delivered is short because prefab buildings are quick built factory manufactured home. You simply create a design using Computer Aided Design (CAD) software and program the manufacturing machines to deliver on the designs already programmed into it. One of the advantage of certain types of prefab buildings is that they are movable buildings. Examples included mobile buildings and portakabins. But while all types of prefab buildings are de-mountable, not all are movable. By de-mountable I simply mean that the building type in question can be disassembled into its component units and relocated if the need arises. But they are not movable on a day to day basis. An example of dis-mountable but immobile prefab homes are houses in an estate built entire from prefabricated building materials. In this case, the estate is well laid out with paved streets and houses properly located in serviced plots within the estate. This kind of estate structure does not require the buildings to move weekly, monthly, or yearly. In fact, there may be no reason to relocate or move the buildings at all even though relocation is possible if there is an irrefutable reason to do so. On the other hand, a mobile home is built to be moved whenever the owner wishes to do so, even if it's for a flimsy reason. That is why they are mobile! Prefabricated buildings are made from two sheets of steel materials that are separated by a core insulating material. Consequently, the prefab metal structure is referred to as sandwich panels. The insulating material in sandwich panels serve two purposes. It ensures that . . . This insulating core is made of polyurethane material known for being a good insulator. This means that when you buy prefab buildings from prefabricated building dealers like us, you can be assured that hot temperatures around your home will not turn your prefab metal building into a hot pot. Some folks who want to invest in prefab homes worry whether they will find reliable prefab buildings dealers to work with. If you have this concern, be assured that it's a valid concern. It's because millions of people today want fast money. And they are prepared to scam anyone to get rich FAST. Fortunately, we are in the prefabricated buildings business. If you need to buy a prefab building, be assured you can trust us to deliver then to you wherever you live in Nigeria as and when due, once you meet the payment terms. We are reliable and trustworthy prefab metal buildings suppliers . . . the preferred prefab buildings dealers and manufacturers in Nigeria. 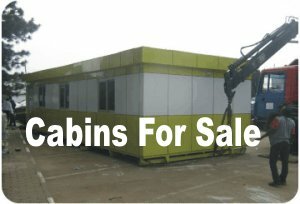 Want to buy prefab houses?